Be generous with positive feedback. From my experience, this rings true for ANY human being you hire as an employee, not just Filipino VAs. Recognize and verbally acknowledge the things your 'guys' have done right before giving any negative feedback. (POSITIVE) You've done great work on this project and I especially appreciate how you_________. Thank you for your attention to detail. You'll be amazed at how this simple method affects your employees' enthusiasm and loyalty. When you receive an email with a daily report (see #4), if you don't have any criticisms or feedback, still respond. It can be as simple as, "Great work. Thanks for getting that done." A little appreciation goes a long way. Give your employees room to grow. Filipino VAs are not robots. They will get tired of the same monotonous tasks day after day. It may even drive them to start looking for other employment, and that's BAD NEWS for you. Experience shows that if they're looking for other jobs or working for someone else part-time, the quality of their work significantly decreases. Once they're comfortable with their daily tasks, give your Filipino VAs opportunities to grow. Ask them to figure something out for you or give them a new project. Be sure to include plenty of feedback and instruction with new tasks, and be encouraging. In the long run, teaching them new skills will be an investment. They'll become more valuable to your business. Have the patience to teach them (and delegate something from your to-do list). You'll have more free time and they won't worry about job security (or be bored out of their minds). It will pay off. Learn how to do it yourself. 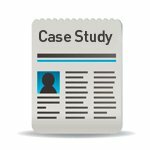 ReplaceMyself.com outsourcing pro Scott Smith offers great advice in his case study: get a basic understanding of what you're asking your Filipino VAs to do. You don't have to be a pro, but try to understand the rough details of tasks you delegate. Then when they ask questions, you can give intelligent feedback. It will save you and your employees a lot of frustration. There are some exceptions, of course. You don't have to be a web designer or programmer to hire one. It's just a good idea to understand the general workings of your business; it will make you a more effective manager. Communicate, Communicate, Communicate! Stay connected to your employees; it keeps them on-task and keeps you updated. Ask them for daily emails that include what they've accomplished and be sure to respond to their questions and/or suggestions (don't forget to be positive, see #1). With all of the communication, don't fall into the trap of micromanaging! Just because you are communicating with your Filipino VAs everyday doesn't mean you have to scrutinize their every move. Let them do their jobs and let them know they're appreciated. Remember: not all communication has to be professional. Show interest in your workers' families, ask them how they like their jobs etc...You'll find that your business relationships will improve with your communication. Don't forget to compensate them fairly. Your Filipino workers have families, bills, and mortgages. Reward them for exceptional work. Give them bonuses and raises as they earn them. In my experience, overpayment builds extreme loyalty. Don't forget the 13th month pay and for goodness' sake, pay them on-time. They appreciate paychecks just as much as you do. 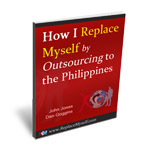 EBOOK: "How I Replace Myself By Outsourcing To The Philippines"
**Disclaimer: Results May Vary. 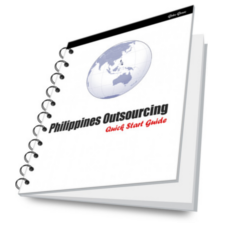 If you learn to properly hire Filipino VA's, you might decrease your work load. If you buy our system, and hire a Filipino VA, you might decrease your workload AND make more money. You might not. You won't know until you try.